“If there were ever a dire need for discernment ministry done right and biblically, it’s now,” says Bible study author, speaker and blogger Michelle Lesley. So why do so many Christians rail against discernment ministries? According to Michelle, “One of the most common arguments I hear against discernment ministry is that it’s the job of the pastor, not discernment ministries, to teach discernment. And with that statement, I could not more heartily agree! Discernment work is half of a pastor’s job description.” Right, but “when was the last time you heard a pastor rebuke someone who contradicts sound doctrine? Or call a false teacher by name? Or teach about a currently popular false doctrine and warn against it?” The answer is, not very often, if ever. Discover why Michelle Lesley believes discernment ministries like Berean Research can be a great help to Christians who’ve fallen into deception see the light and climb out of it; likewise, discernment ministries like ours can be a valuable resource for people whose loved ones are ensnared in false teaching or caught up in a cult. You’ve probably never heard someone give one of these statements as a reason for doing away with podcasts or street preaching or the ACLJ, but these days it seems like everybody – including doctrinally sound, discerning Christians – is screaming, “Off with its head!” about parachurch discernment ministries for these supposed reasons, and others. It’s become the bandwagon du jour. The popular whipping boy for Christian social media. The here-today-gone-tomorrow zeitgeist of online evangelicalism. Among those who wish to amputate discernment ministry from the Body are good, solid, loving, godly brothers and sisters in Christ. I just wish they realized that there are many of us on this side of the discernment fence who are also good, solid, loving, godly brothers and sisters in Christ. It is a sad irony that the genuinely good guys who are clamoring for the death of discernment ministry are, in some cases themselves doing the very things they accuse discernment ministries of doing. 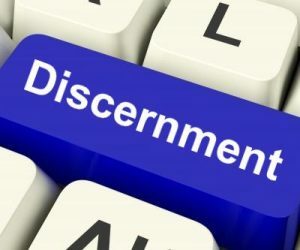 While they may give a brief hat tip to “some discernment ministries aren’t so bad”, in calling for the disbanding of discernment ministry across the board, they effectively lump everyone who does any sort of discernment work – regardless of how infrequently or how biblically it’s done – into the same category as those who indiscriminately lob a constant barrage of truth-bending, vitriolic grenades at everyone from the rankest heretic to the reputable, doctrinally sound brother who has a slightly different take on their eschatological view. And in the same way it wouldn’t be fair to throw these brothers and sisters who speak from biblical love and concern for the church into the same bin as “Christians” who scream like banshees about discernment ministry because they just want to worship their idols in peace without their consciences being pricked, it’s not fair to unilaterally declare that discernment ministry should be banned, either. Rebuke those doing discernment work whose character, behavior, and handling of Scripture is so egregious it disqualifies them from any ministry whatsoever (and, unfortunately, they do exist) but encourage those who do discernment ministry right. Just like you would with any other ministry. Because if there were ever a dire need for discernment ministry done right and biblically, it’s now. Banishing the discerning altogether would be neither biblical nor beneficial to the Body. The Old Testament is rife with idolatry, syncretism, and false prophets. Every book of the New Testament except Philemon deals in some way with false doctrine or false teachers and the importance of keeping them out of the church and away from Christians. It is a major issue throughout the Bible, but particularly in New Testament theology and ecclesiology. Jesus dealt with it. Paul dealt with it. So did Peter, Jude, John, and other New Testament figures. Part of the reason the 21st century church is so steeped in false doctrine and enamored with false teachers now is that we have been brushing discernment aside for so long instead of bringing it front and center like the Bible does. If the Holy Spirit – the author of Scripture – considers discernment to be so vital, shouldn’t we?